He has a beautiful head of curly hair. I will not take him to Fantastic Sam’s for a haircut. I will not take him anywhere for a haircut. Once upon a time, this Nonnie took it upon herself to take Charlie’s big brother to get a big boy haircut. Alas, the baby curls were gone, never to return. Not doing that again. No siree. So we are reveling in Charlie’s curls. Right now, I wouldn’t change a thing. 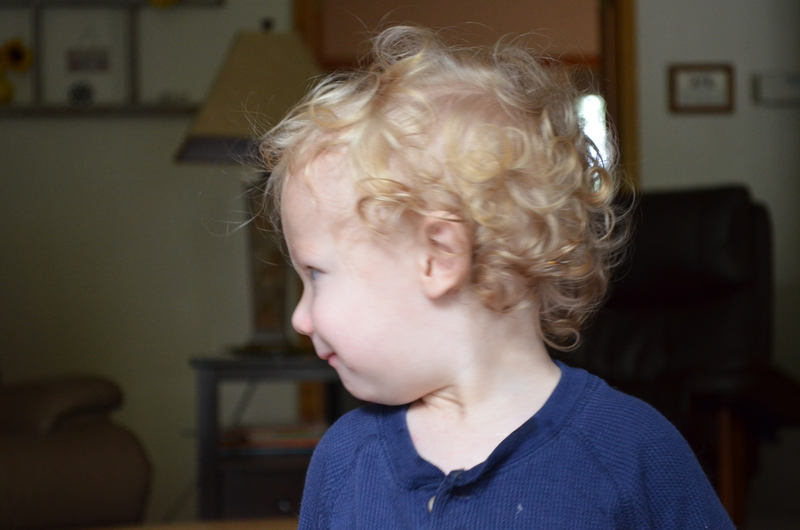 This entry was posted in Family File and tagged charlie, curls, curly, grands, hair. Bookmark the permalink. You’re a wise woman. 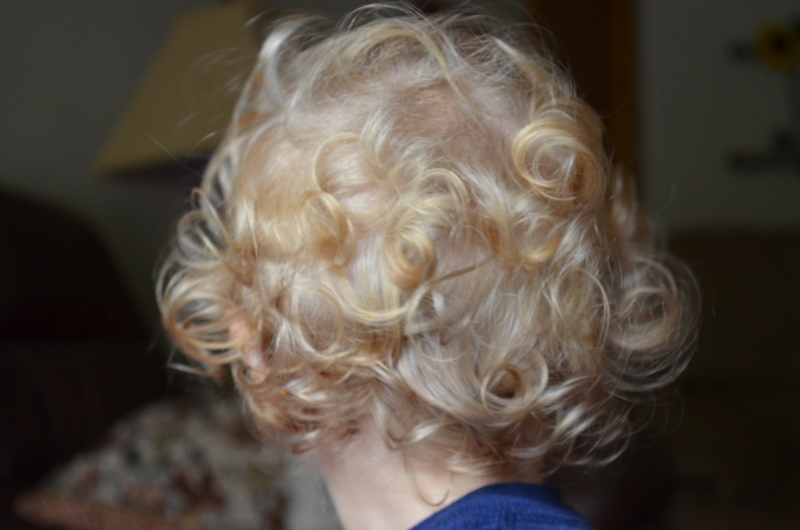 When my son Brian was little, he too had a head full of blonde curls. People used to stop me on the street and comment “what a cute little girl” he was. 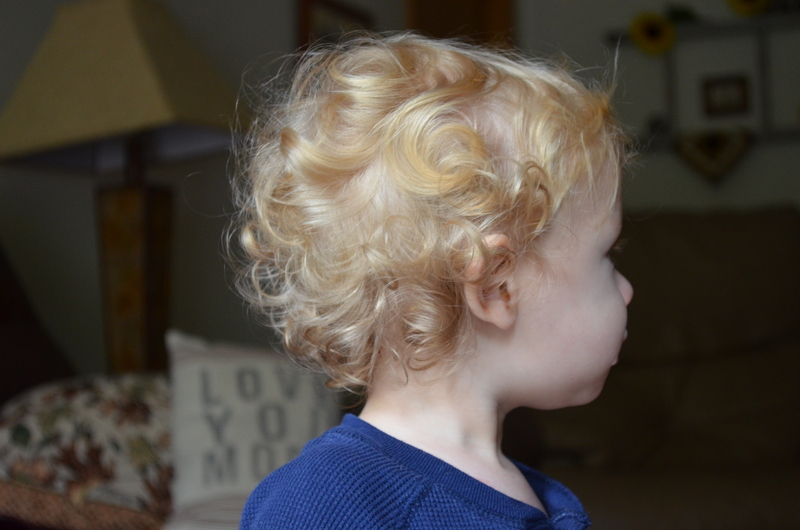 His curls lasted until he was four years old despite having to correct people of his gender. One day, I fixed a pancake breakfast with LOTS of syrup. Unable to resist, he stuck his hands into the syrup, lifted his dripping hands to his head and proceeded to “comb” his hair with syrupy fingers. Thinking the curls would grow out, I took him in the backyard for his first haircut. Pulling on a curl and straightening it, I saw that his hair was long enough to tuck under his arms. 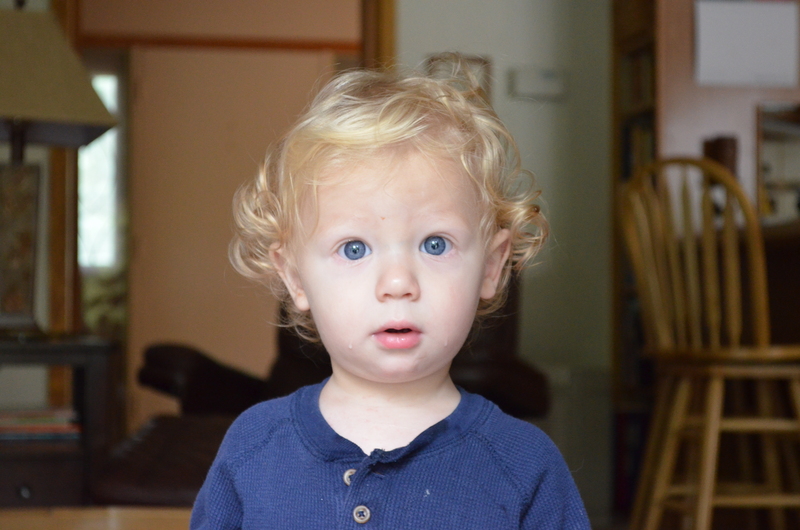 The haircut commenced but I realized that his lovely curls were now a thing of the past. 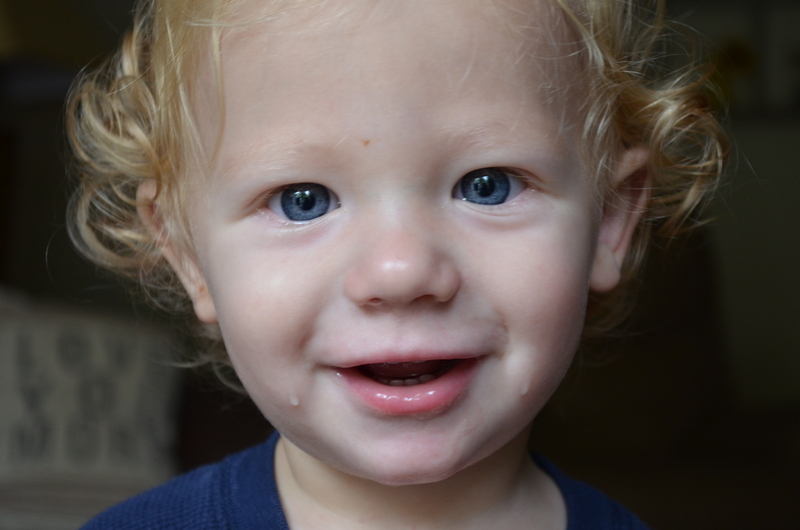 Babyhood immediately ended, and he was forever changed. Memories of those curls remain but the curls didn’t. (Sniff.) Moral of the story: curls are good. Don’t mess with a good thing. Love this story, Kitty! So far, Charlie hasn’t combed through his hair with syrup. We’ll keep the curls for a good long while, I’m sure!